The Sebastian Professional Twisted Elastic Treatment nourishes and strengthens the hair fiber whilst shielding against humidity. 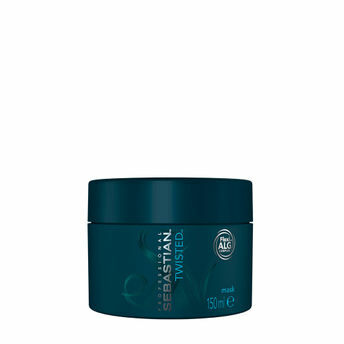 Infused with Flexi Alg Complex, this hydrating hair mask fights frizz, adds moisture and transforms untameable kinks into head-turning bouncy curls/waves. About the Brand: Sebastian is always on the hunt for What's Next. They were born from a vision of beauty without boundaries. They think outside the lines of their craft, and follow their artistic ambition to the edge, creating new possibilities for self-expression. They do hair, business and learning differently, constantly surprising and making unexpected connections to create something new. Sebastian Professionals has enabled stylists and the stylish with new products, tools and techniques. Their styles work in the spotlight, in the salon and on the street. Explore the entire range of Hair Creams & Masks available on Nykaa. Shop more Sebastian Professional products here.You can browse through the complete world of Sebastian Professional Hair Creams & Masks .